New York New York. We love hanging around for hours with a sketchbook in the MAD (Museum of Arts and Design), though we don't love in particular Columbus Circle. 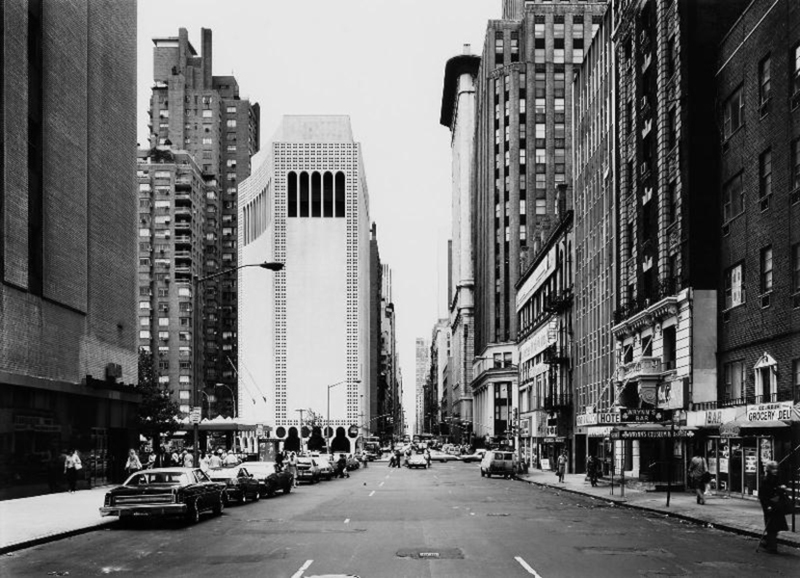 This photograph, taken by Thomas Struth, shows the museum building at 2 Columbus Circle back in 1978. By now the building has dramatically changed, and not for good... the design was significantly altered, including modifying its facade. Thanks to Thomas Struth for capturing the original spirit of this unique building that we adore so much on his photograph.